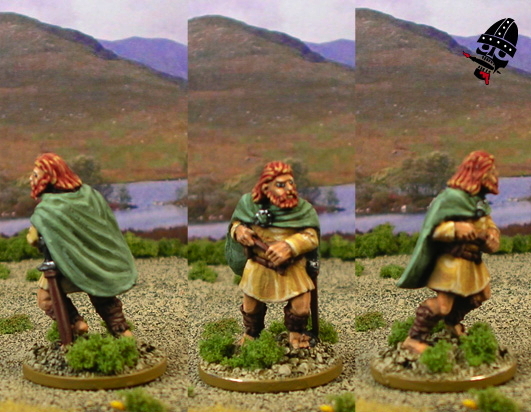 This figure is one of the hound handlers that came with the irish hound pack. I figured I would paint it right away before getting swollowed up by the unpainted figure pile :) It will, no doubt, play the role of some D&D hooligan or henchmen in the future! Because it doesn't really have any weapons out, it could easily play a civilian type, which often comes in handy!